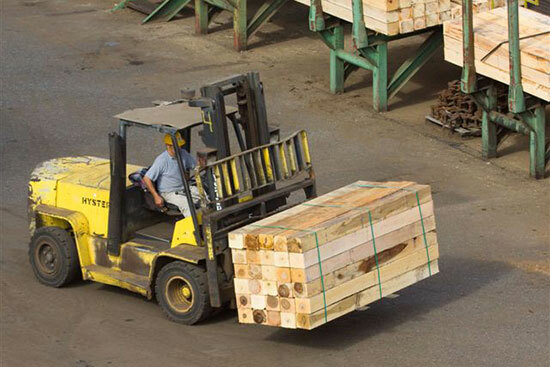 Thompson Hardwoods, Inc.'s Scragg Mill pocesses Southern Hardwood pulpwood through a Price 9 foot x 60 foot Drum Debarker and selects logs that for further processing into railroad cross ties, switch ties, pallet cants, and pallet lumber. 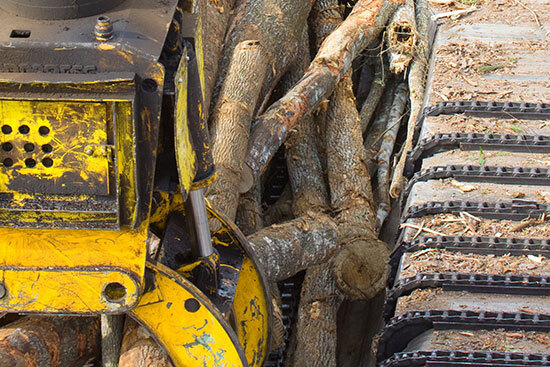 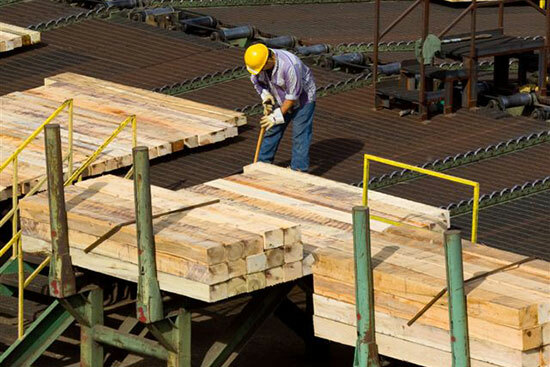 These selected logs are process through a Cooper Machine Company Tandem Sharp Chain Scragg Mill into railroad cross ties, switch ties and pallet cants. 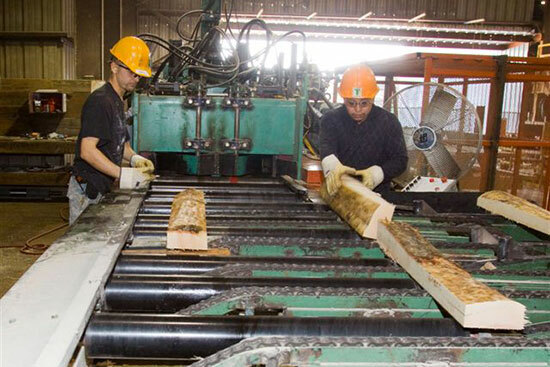 Log slabs are processed through Edgers made by Valley Machine and Trimmed to length by a customized 3-Saw Trim Saw. 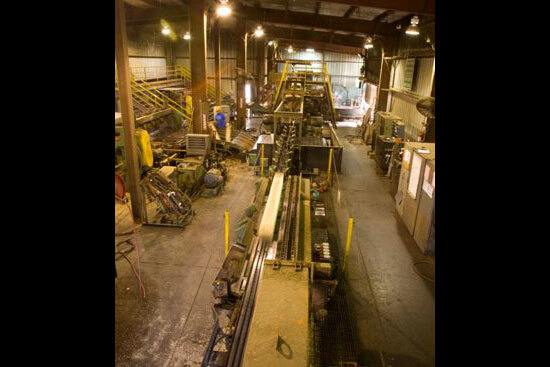 All pieces are fed into a Cone Machinery Double Arbor Gang Saw to process into various pallet lumber products. 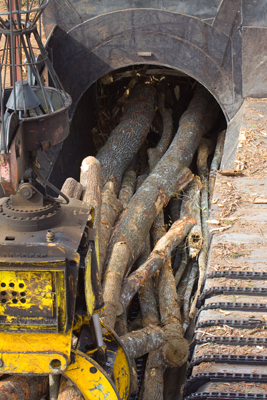 All logs not selected for processing are fed into a 112” Precision Husky Chipper to process into chips for regional paper mills in Georgia. 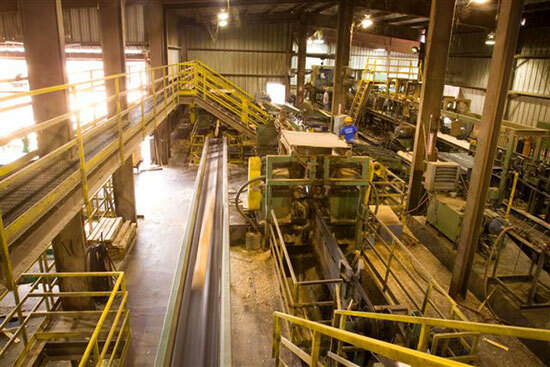 Thompson Hardwoods, Inc. has the capability to process hardwood and pine pulpwood into chips for export markets that have been shipped from the export chip loading facility in Savannah, Georgia.